Subba reddy has already announced that he is ready to contest from Allagadda.he would contest from the constituency where the late leader Bhuma Nagi Reddy daughter Minister Akhila Priya represents, he said. 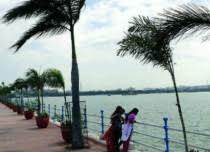 He also stated that TDP chief Chanda Babu should be instructed. In the Aligarh constituency, Akhila Priya, none of the Subba Reddy is undergoing a cold war. The dominant war is going on .Now fighting is for the ticket matter. Even if it is the same as the Allagadda .. Nandyal Assembly ticket issue has also with the same. Bhuma Brahmananda Reddy is presently represent from Nandyal. 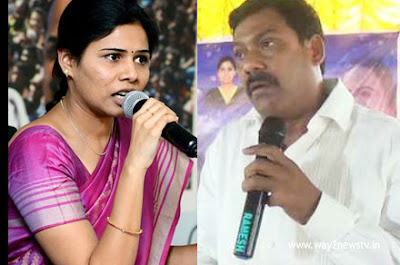 Got a bi pole to the Nandyal seat with the death of Bhooma Nagireddy.Brahmananda Reddy won from the Telugu Desam in the prestigious by- election.even not completed one year after it happened , Now the fight for the Nandyal ticket is on the race for the next election.Nandyal MP SPY Reddy says his son in law will contest from Nandyal seat in next elections.SPY Reddy said that he would contest as the MP candidate and his son-in-law would contest as MLA from TDP.At present there is a similar situation in the seat of the both bhuma descendants, in the live politics. competition come from the TDP leaders to the seats represented by Akhila Priya and Brahmananda Reddy .